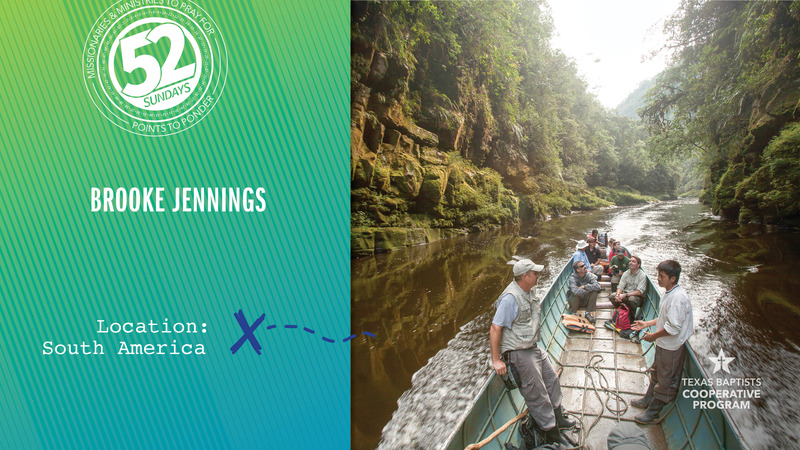 Along the Amazon rainforest in Brazil, Brooke Jennings* serves as a missionary. The tribal people who live in this region do not have much contact with the outside world. 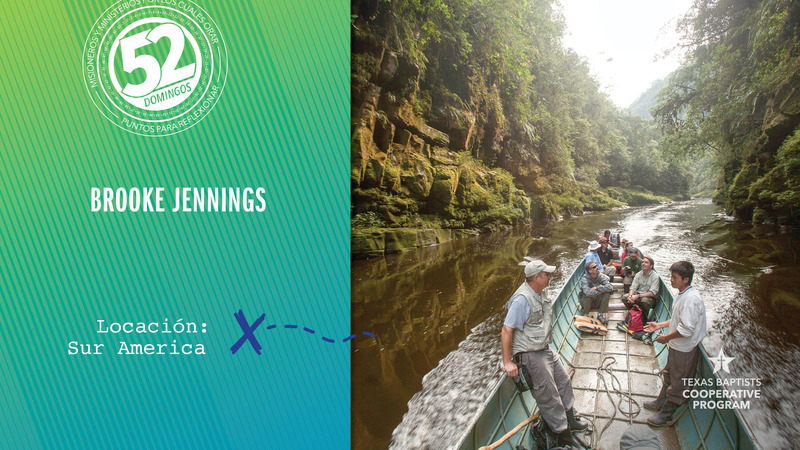 Villagers travel five days by boat to get to the nearest town. While in the town, they collect their welfare checks, and some buy alcohol and go on drinking binges. When Brooke met Katia*, she was much like others in her village. Brooke would go by Katia’s home to pick her up for Bible study, and he would often find Katia lying in her hammock, hungover from drinking. Instead of complaining, Brooke would help Katia sober up enough to go to the Bible study. After building a relationship with Katia and sharing the Gospel, Brooke was overjoyed to see Katia’s salvation and changed life. Now Katia wants others in her tribe to quit drinking and fall in love with Jesus, just as she did. Our church supports missionaries like Brooke with our gifts through the Cooperative Program. As we pray today, let’s thank God for missionaries who serve in places like the Amazon rainforest and ask God to keep Brooke safe and to bless her work.